Rain for Rent offers replacement parts, service and maintenance of wheel move, often called wheel line irrigation systems. 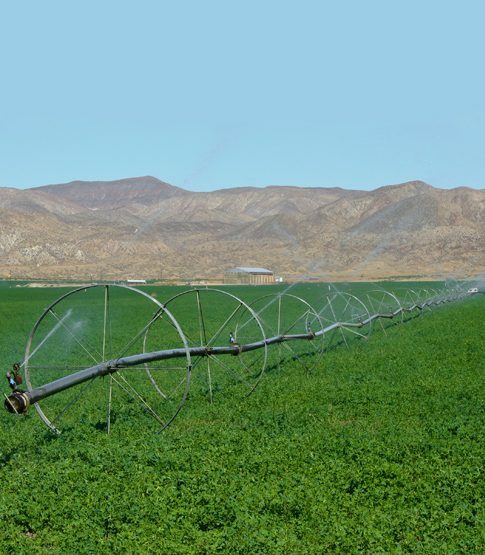 Wheel Move systems offer crop irrigation with sprinkler system that moves through a field. Wheel Move irrigation features an engine-driven, high pressure all-hydraulic power train. Dual orbit hydraulic motors provide instant manually controlled forward and reverse movement. Available Wheel Move models and replacement parts include the Crop King, Harvest King, and Dual King wheel moves.